Hey everybody! In this post, I’d like to talk about Container-centric infrastructure with Kubernetes. 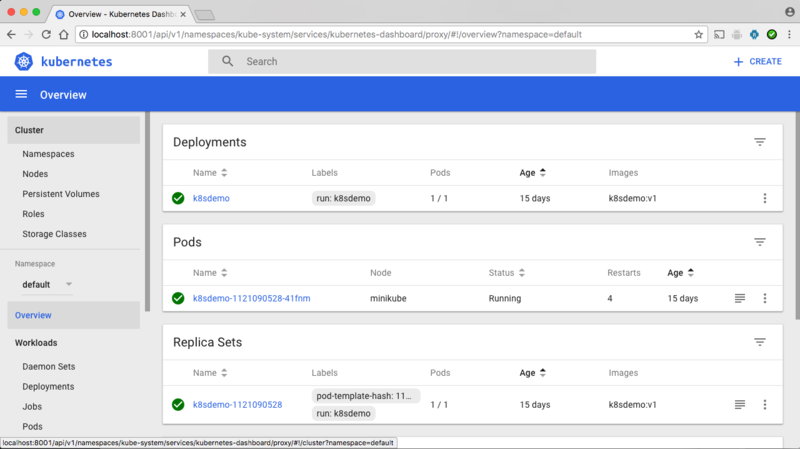 This is Part 2 of a series of posts on using installing and using Kubernetes. If you missed Part 1 where I talk about “Why Containers?”, make sure to check that out. In this post, I want to give you an overiew of Kubernetes. A Pod is where an application is deployed, and contains resources specific to an application, such as file storage. Pods can contain multiple applications, and all applications in a Pod share the same IP address and port space. 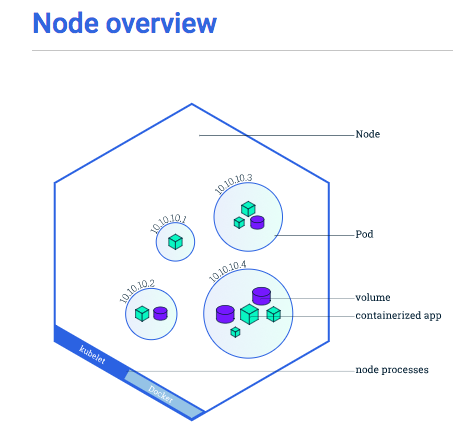 Think of a Pod as the logical host, and is the atomic unit of deployment and scheduling in a Kubernetes cluster. A Node is a physical or virtual machine in the cluster, and runs one or more Pods. 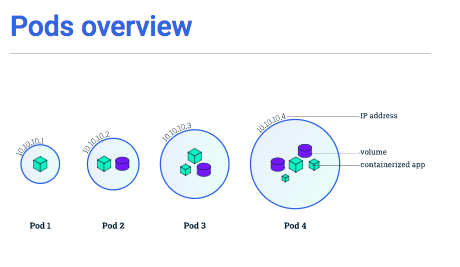 Each running Pod with the same definition is called a replica, and a Pod can be instantiated more than once to improve application scalability within the cluster. The job of Kubernetes – specifically the master – is the maintain the desired state of the cluster at all times. But what is the desired state? Let’s start with the documentation. The desired state is defined as the applications and workloads you want to run, what container images to use, the number of Pod replicas, and other stuff like network and disk resources that your applications need. The master compares the current state of the cluster to the desired state and if they differ, makes any necessary adjustments until the desired state is once again reached. This is helpful for, say, when an application crashes. The master will detect the application is no longer running, and restart the it. Now the cluster is back to the desired state. In this post I introduced you to Kubernetes. Stay tuned for Part 3, where I walk you through installing all of the software you need to run Kubernetes on your computer! 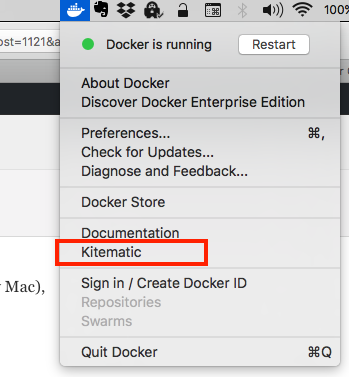 If you use Docker and don’t use Kitematic, you’re missing out! Kitematic is an awesome addition to your Docker toolbox. Download it here. It’s a graphical tool that lets you see what is running in your local Docker environment. You’re probably used to docker ps, and docker images, and so on, to see what Docker is doing. But Kitematic can show you that information in a GUI. Okay, so I’m working on Part 3 of a tutorial series I’m doing for IBM developerWorks, and I have Hyperledger Fabric running in Docker. You can see the same info, but in a GUI format. Now, I love the command line as much as anybody, but sometimes figuring out what is going on with Docker through the command line can be frustrating. Not that the information isn’t there; just that it’s not super easy to tease out the information I’m looking for. 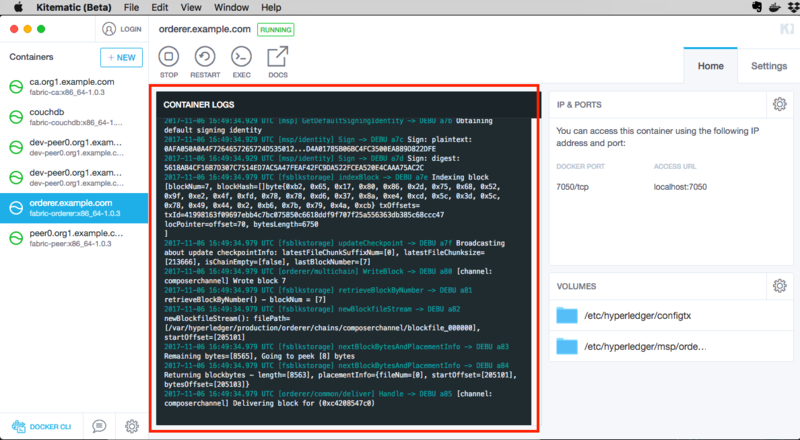 With Kitematic, you can see the logs for each container, just as you can with the docker logs command. You can see the logs (under the Home tab on the right-hand side of the UI), in addition to information about the port that is exposed on localhost, the volumes that are mounted, and settings for both. Click the “here” link (which takes you to https://download.docker.com/kitematic/Kitematic-Mac.zip). Once the ZIP file is downloaded, unzip it. It contains the Kitematic app, which you then drag and drop into your Applications folder. The next time you select Kitematic from the Docker drop-down, it fires up seamlessly. You can sign into Docker Hub if you have an ID (if not, just select “Skip for Now”). That’s it! Now you can use Kitematic. I’m not suggesting you shouldn’t use the Docker command line tools. They’re great. But Kitematic is another tool in your Docker arsenal. Enjoy. And thanks for reading!